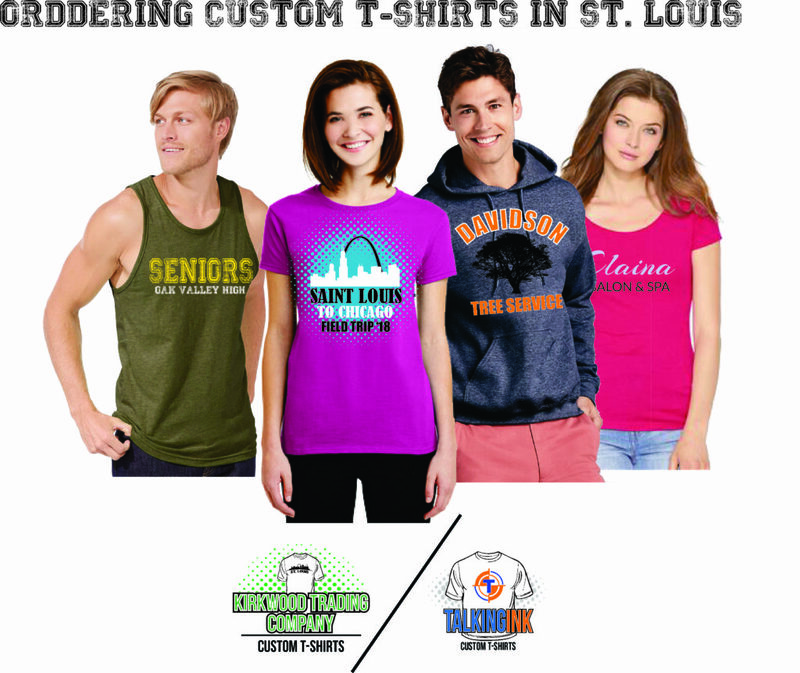 Ordering custom t-shirts in Saint Louis, on a local level, has so many benefits compared to online custom tees websites. Aside from the price savings, which we will get to later, there is a level of convenience and quality that you only get with a local screen printing shop. Let’s just look at the simple benefits of ordering from a local business. First, any business spent on local business stimulates the local economy. Making money here and spending money here is great for everyone. Ordering custom t-shirts in Saint Louis just makes sense. Second, with local businesses you can visit them in person, see and feel the shirts and see samples of their printing and build a relationship. With online companies you can’t do that. They might have iffy printing techniques and you’d never know it because you don’t see samples. Third, price. We get calls all the time asking us if we can price a job because an online company is expensive and on top of the per shirt price being higher than it should, there are A) additional shipping costs, or B) orders advertised as free shipping when in reality shipping is never free. It’s just built into the final price of the product. While any business hates talking about mistakes, they happen. For one reason or another a job is done incorrectly. If you are unfortunate to be one of those customers your chances of getting the order made right is a thousand times better with a local company compared to an online company. We recently had a 200 shirt order completed 3 days before a customers event. It was a last minute rush job and lines of communication got crossed and there was a mispelling on the shirt. The fault lied with both us and the customer and we were able to replace the shirts and have them in hand the next day. We have had to replace several orders that customers placed online that were incorrect and they weren’t going to get replacements in time. If you live in Saint Louis, ordering custom t-shirts in Saint Louis will save you time and money. The one major problem with online custom t-shirt companies is that most don’t print the orders themselves. You design your shirts on their website, you pay them for the orders, but they don’t print the orders. They generally have shirts drop shipped to a screen printer somewheren in your region to print the shirts. Once printed the screen printer then ships them to you. So the person you are paying for the shirts never actually sees the shirts. That’s fine when you buy a car from a salesman who didn’t make your car but at least the salesman is representing the company. Here, if there is an issue you have to contact the online company, they have to contact the printing company, come up with a solution, and then get back to you. Things like this get eliminated by purchasing on the local level.